The division is engaged in the research and the examination from a chemical standpoint, in order to ensure the quality and the safety of designated food additives, existing food additives, natural flavoring agents and so on, as well as food contact utensils and packages, baby toys and food detergents. The principal research works on these targeting materials are: (1) establishment of specifications and standards, (2) development and improvement of analytical methods, (3) analysis of constituents and (4) monitoring of daily intake. In addition the division contributes to the revision of the Japan’s Specifications and Standards for Food Additives. 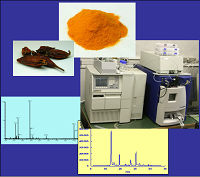 Extraction and purification of food additives from foods.